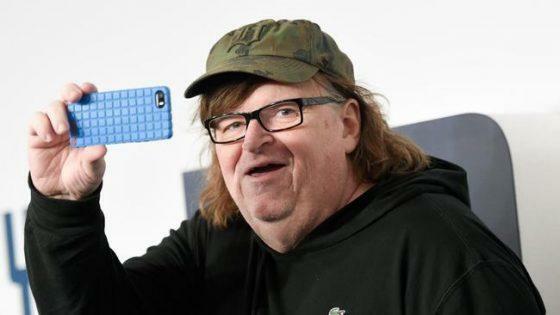 Liberal Michael Moore: Trump Could Be The Last President! In an interview MSNBC’s Chris Haynes, Moore elaborated on his odd belief on Wednesday night. “I think that we have someone in the White House who has no respect for the rule of law, who dislikes democracy by an incredible degree,” Moore said. Moore went on to say that Trump is just like all other billionaire CEOs who “rule by fiat.” He claims that those billionaires (who are protected by the government because they buy said protection) are accustomed to near-unilateral autonomy when it comes to running their companies. “They rule by fiat. They decide. They make the calls, and they don’t like anybody else having a say,” Moore asserted. Which is exactly why they own the companies. They can do whatever they want and rule by fiat if they own the company. And if Moore thinks those who opposed, for example, Obamacare had a say and that wasn’t “rule by fiat”, he’s higher than the international space station. The truth that no liberal or conservative really wants to hear, is that the government doesn’t care about the public and they haven’t for a very long time. They are concerned with making money and increasing their own power over others and the only way they get that is through continued public compliance with their “ink on paper” laws and voting. Again, politicians only want power over others and as long as people are compliant, freedoms will be lost by the day. No one wants to admit that they are being oppressed by the government they keep voting for, but that’s an unfortunate fact that no amount of propaganda can cover forever. Even Hitler’s propaganda minister knew that much.